Featuring works of artists linocut printer, Natasha Scott, photographer, Mike Scott and guest artist, leather worker, Troy Porter. 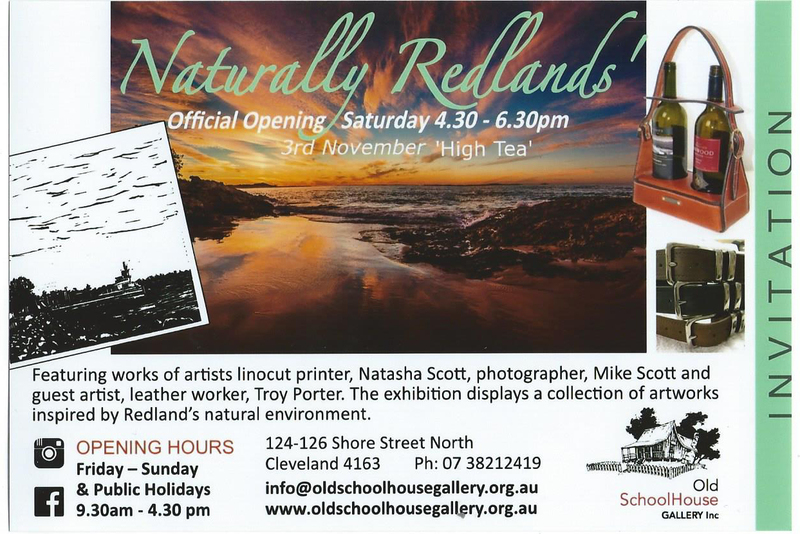 The exhibition displays a collection of artworks inspired by Redland’s natural environment. © Old Schoolhouse Gallery 2019.